It’s reported statistically, but it is never hyped. What is hyped is all the negatives. Let me read the opening paragraph ’cause it’s really all you need to get the idea of this piece. 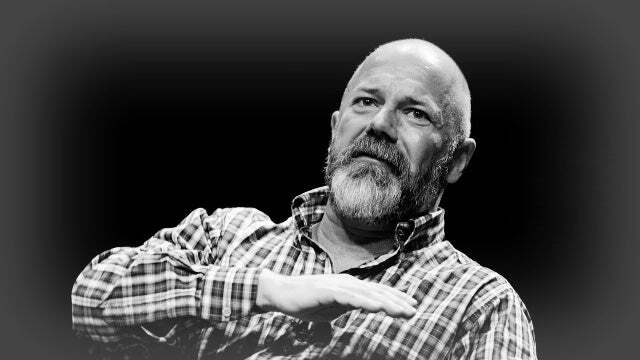 Again, Andrew Sullivan. It’s in New York Magazine. “Earlier this week, I went to a lecture given by Steven Pinker on his latest book, Enlightenment Now. I’m a huge and longtime fan of Pinker’s, and his book The Blank Slate was, for me, a revelation. [Pinker]’s become a deep and important critic of the visceral hostility to nature and science now so sadly prevalent on the left and right, a defender of reason and the Enlightenment against the ‘social justice’ movements on campus, and his new book is a near-relentless defense of modernity. “I sat there for an hour slowly being buried in a fast-accumulating snowdrift of irrefutable statistics showing [amazing] human progress: the decline of violence and war, the rise and rise of democracy, the astonishing gains against poverty of the last couple of decades, the rise of tolerance and erosion of cruelty, lengthening lifespans, revolutions in health, huge increases in safety, and on and on. It was one emphatic graph after another that bludgeoned my current depression into a kind of forced rational cheeriness.” In other words, this guy Pinker had been accumulating data to show that — in a universal way all over the world — all of our problems are getting better. But how many of you when I said, “The decline of violence and war,” responded, “Wait a minute! There is not any decline…”? That’s your instinct reaction, because what’s on your mind is in Parkland, and we’ve been at war in Afghanistan for seemingly, what, 18 years? “We’ve been at the war in the Middle East 18 years. What do you mean less war? What do you mean less violence?” Well, statistically, worldwide war is happening much less — so is violence — according to the stats. But in your living experience, it’s kind of contradictory because it doesn’t seem so, but that’s the point. After looking at the evidence of how much improvement in the areas of squalor of life, you kind of have to do a check and say, “Wait a minute. This doesn’t… This doesn’t jibe with how I feel. It doesn’t jibe with what I think I’m seeing.” Here’s the last sentence of the paragraph: “There were no real trade-offs here; our gloom is largely self-imposed; and is entirely a function of our media and news diets.” Bingo! Now, that may sound like deep stuff, but let me tell you what that means. What that means is we have forgotten the human flourishing, we’ve forgotten the goodness, we have forgotten the happiness, the contentment that comes from a common idea of morality. My word in this case for virtue, and a concept of morality that is based our nature. These two paragraphs to me are dynamite. In the first place, “our gloom is largely self-imposed and is entirely a function of our media and news diets.” I could not agree more! That’s why I have often suggested, if you want to change your life turn off news for a week and just see. Just do it. Turn off the news, do not watch any news. Do not watch any cable news anywhere for a week! You can do it. Don’t be afraid. You can do it. You can listen to me because I do not make people feel unhappy or fill them with doom or gloom. Quite the opposite. This program lifts people up, makes people laugh. You know, we’ve got this new thing we’re doing at RushLimbaugh.com where we are actively responding to people. We’re inviting people to get in touch with us, listeners, members of the audience, who we then establish a video connection with and we interview them and find out what is it about the program they like. It’s revealing some of the best stuff. 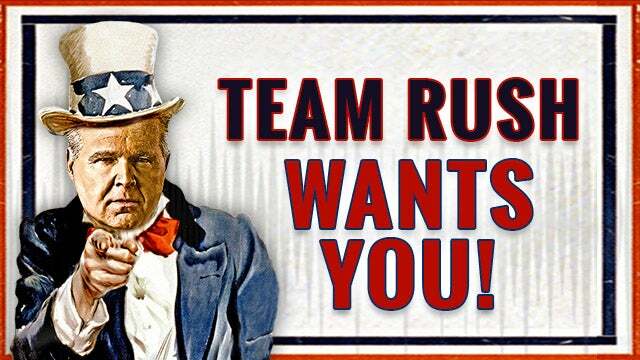 And people who participate in this, you can find where to do it at RushLimbaugh.com, in exchange for their participation people are allowed to ask me any kind of question they want and I’ll answer it somehow, some way, either here or on another video that we put on the website or whatever. It’s a work in progress. But the things that we are learning, the questions people want to ask me are better than any I have been asked by anybody on TV, by far, both personal and professional. And they’re a joy to deal with. I answered one of these questions on a video last week. I hope we’re able to post it this week. I’m making no guarantees ’cause it’s a new project that we’re just getting up and running. But it is fabulous to actually learn and meet those of you in this audience who are participating in this. And it’s a video conference that we set up with you, if you pass our tests. Well, ’cause we can’t do everybody, got some fun little tests. But the point is, you know, there’s a common thing these people say. And I would not have even thought to mention this today had it not been for this paragraph of Andrew Sullivan’s. There’s a common, almost everybody that we’ve talked to — and there’s been a lot of them now — are saying one variation or another that this program lets them know every day it’s okay, that things are okay. And that has so much meaning to people. And the people that we’re interviewing are all ages. They are all religions. They are all orientations, sexual orientations, gender. The demographic spread is amazing. It’s fabulous to learn and see those of you who are participating in our little program here. Well, it’s actually gonna get very big. But this is why I have said turn off the news. It is the most negative, particularly if you’re a Republican or conservative or Trump supporter, it can ruin you. It can ruin your day. It can destroy a good mood. It can destroy contentment. And it shouldn’t. But that’s what it does. And if you turn it off for a week, you will see exactly what I’m talking about. Turn it off for a week, but don’t stop listening here. We don’t make you feel gloomy. We don’t make you feel like everything’s doom and gloom and the end is near or anything like that at all. Quite the opposite. And then the admission here that we’ve lost a common virtue, we’ve lost a common morality, we’ve lost a common base that unites us, that binds us together. The world is better than ever. Why are we so miserable? Social media plays a role in this too. But I don’t know that social media is the cause of it. Social media just serves as a way to see it and to amplify it. And I don’t think Trump hatred is hatred of Trump. I think it’s hatred of all of us. If you think Trump vanished tomorrow that The hate would stop? No way. Their hate is never going to end. That’s the point. And the more you subject yourself to it by watching the news or the stuff they produce as entertainment programming, the more it’s gonna affect you, when it need not. Because they’re the ones at making things look as bad as they are when they really aren’t.